There is quite a growing number of casino games which make up part of many mobile casino sites and many of them boast a progressive type of jackpot. With jackpots on offer that can turn you into a millionaire within seconds, there’s no wonder these games generate a lot of interest. In this article we are not only going to present some of the many different progressive jackpot games which can be played online, but also take a look at some of the best ways to actually play those games in the hope that you may increase your winning chances. And since luck is not always the most important thing when gambling online, we will also take a look at some of the most common strategic errors you can make and teach you how to avoid them. Therefore, make sure you give this article a good read, as there are some catches you need to be aware of when trying to grab the big jackpots in the progressive mobile slot games. 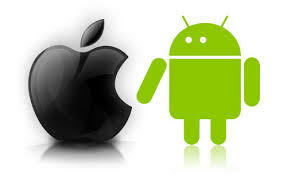 We will do our very best to enlighten you on the most important mobile jackpot related facts. If you intend to give any of the progressive slot games some playtime on your mobile device, then be aware there are some important aspects of playing them that will ensure you have a completely hassle-free experience, and below are some of them. The first thing you need to be aware of is that when you win a progressive jackpot at most mobile casinos then you may not be able to have the entire jackpot win sent to you in one single payment. This is due to many sites insisting on their players having to comply with maximum monthly cash out rules! We made sure that all the Microgaming powered mobile casinos we recommend you have a large suite of jackpot games and most importantly, that they all have a strict policy of making the payments of large jackpot winnings in a single increment. Another tip we can pass on to you in regards playing mobile progressive slot games is to make sure that you understand the playing structure and format of the game you have opted to play, as there are some slots which will only award their progressive jackpots when they are played in a certain way. So before you launch and give any mobile slot that boasts a progressive jackpot any amount of play time please familiarize yourself with the pay table. 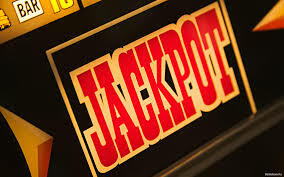 And since this is the most common requirement, should a slot require you to play the maximum number of lines to have a chance of winning the jackpot then make sure you always put the maximum number of lines into play. Those progressive mobile slots which have a single pay line will often require you to play maximum coins on that single pay line for you to have a chance of winning the progressive jackpot, so once again if you do decide to play this type of slots then put into play the maximum coin wager on every single spin you play! Below are the very best mobile slot games with a progressive jackpot that are currently available. All of them can be played at our recommended Microgaming powered online casinos and please remember that any winnings from jackpots will be paid to you in one single increment, a rare thing to find at online casinos these days. All of the following slot games are linked into the Microgaming progressive network of slots and as such when you play them a small percentage of your stake is being used to feed the progressive jackpot pool. These slots utilize the same progressive jackpot pool as Microgaming’s online variants of these games and that means that you have the same chance of winning the jackpot regardless of whether you are playing these slots at a Microgaming powered online casino site or one of the many mobile casino sites using Microgaming’s mobile gaming platform. Mega Moolah – If there was one mobile slot game that could be described as fully rounded then it would have to be Mega Moolah. 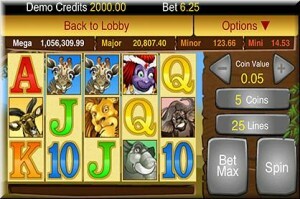 There are many unique aspects to playing this mobile slot that are going to appeal to a huge number of slot players. 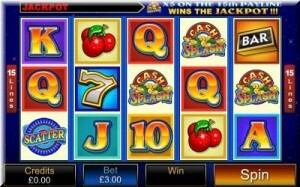 The first thing is that this slot comes with four different progressive jackpots. Those jackpots are won randomly and to make this slot even more appealing, it doesn’t matter how much you wager or how many paylines are active when you trigger the big win! You will still be facing the same odds of winning the big prize available on any of the four different jackpots. On top of this, there’s a free spins bonus round that will also increase your chances of hitting a good win! 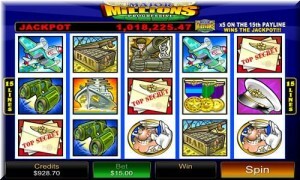 Major Millions – This is a great three reel slot, but when you opt to play the Major Millions mobile slot game you need to ensure that you have all of the three available paylines active if you want to stand a chance of winning the big jackpot. The coin values on this game are fixed at 1.00. so any spin you make would have to be worth 3 coins to be eligible for the big prize. Make sure to keep that in mind when you establish your playing strategy for this slot. 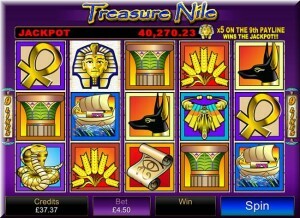 Treasure Nile – One of the oldest progressive slots, and one that has been available to online casino players for well over a decade now is the Treasure Nile game. This slot has now been added to Microgaming mobile gaming platforms and as such you now have another mobile slot game to play on which you could win a very sizeable progressive jackpot payout. This slot boasts just nine optional paylines and whilst it is indeed a video slot it does not offer any type of bonus games or bonus feature rounds, so maybe a slot to play when you want a basic type of slot playing session! 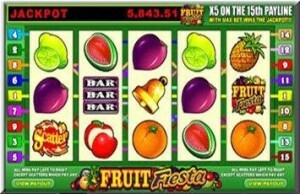 Fruit Fiesta – Another low fixed coin slot game you may be interested in playing on your mobile phone when you are chasing a progressive jackpot win is Fruit Fiesta. The coins are fixed at 0.25 in this 5 reel 3 paylines slot and the jackpot is only available to those of you wagering with the maximum bet. That basically means your minimum stake should be 0.75 if you want to stand a chance of winning this life-changing prize. Cash Splash – If you play the Cash Splash slot game on your mobile phone then you are going to be accessing the single payline version of this slot. 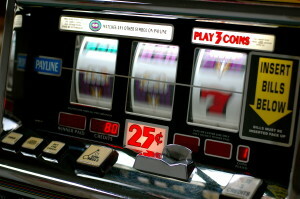 This game requires all players hoping for the progressive jackpot winning combination to spin in to play three coins per spin, and you do need to be aware that the coin values on this particular game are fixed at 1.00 and as such a three coin spin is of course going to cost you 3.00 in total!